The Aquatimer Ref. 812AD was IWC’s first true diver’s watch. Equipped with two crowns, one crown controlling the time and the other controlling the internal dive scale bezel — it made its public debut at the 1967 Basel Fair. The classic aesthetic still looks good today. Almost five decades later, IWC is still making the Aquatimer. In fact, for 2014, the entire collection has been completely revamped. This review focuses on the base Aquatimer Automatic Ref. 3920, which is available in four variations. The dial still has the purist look and internal bezel, like its predecessor. Although, now the internal bezel is controlled via an external bezel, not a crown. This feature is very simple to operate, yet was incredibly difficult to engineer. It is the first of its kind and has been patented by IWC. The Aquatimer is a luxurious sports watch that looks just as good with a suit, as it does with a tank top and a pair of boardshorts. Ultimately, though, it is a dive “tool” watch, and accordingly, it needs to meet certain standards. ISO 6425, a stipulated by the International Organization for Standardization, is a standard requires that a true dive watch must: a) be water resistant down to at least 100 meters b) feature a time controller c) comply with luminosity, shock resistance, anti-magnetism and band solidity guidelines. All Aquatimers meet these requirements. Distinctively, all of the Aquatimer line feature the patented “SafeDive” external/internal rotating bezel. To operate it, you just rotate the external steel bezel like a normal dive bezel, and the internal bezel (or flange), which has the diving scale printed on it, automatically rotates in unison. 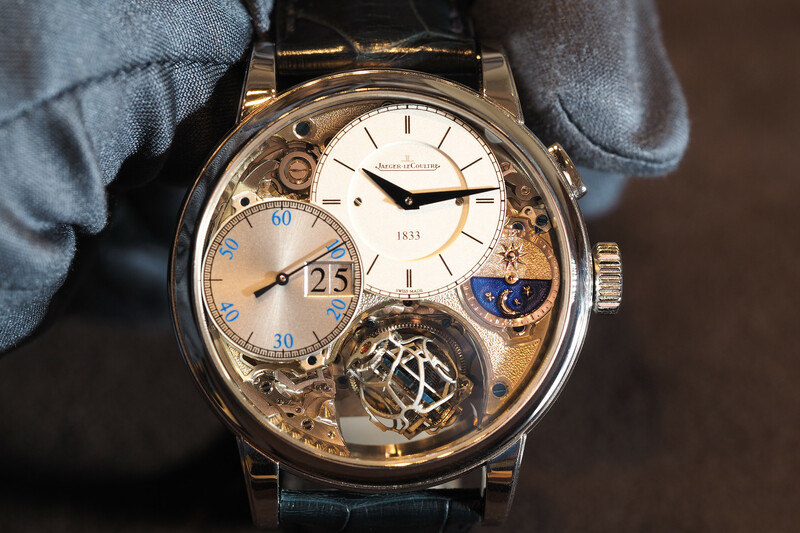 A special sliding clutch, housed on the left side of the case, is key to this sophisticated system. There are a few potential downsides to such a complex system as opposed to a traditional bezel configuration: 1- the clutch housing protrudes on the left of the case 2- it is a proprietary system, and that typically costs more to fix. I believe the upsides outweigh the downsides, as this is such a cool feature. And the housing did not cause me any discomfort on the wrist over the course of a week. Furthermore, the rotation feels both accurate and incredibly smooth. Definitely the best internal bezel system I have ever seen. Who wants to turn a crown to operate the internal bezel? While reminiscent of the first diver’s watch to come out of Schaffhausen, the new Aquatimers use much larger applied indexes, as well as oversized hour and minute hands. Not to mention, the hour markers, bezel, and hour, minute and second hands all feature luminescent coatings for superb illumination, even in complete darkness. With this design, it is clear that telling time is paramount. A minute/second track is printed on the chapter ring, allowing you to read either the minutes or the seconds, at a glance. 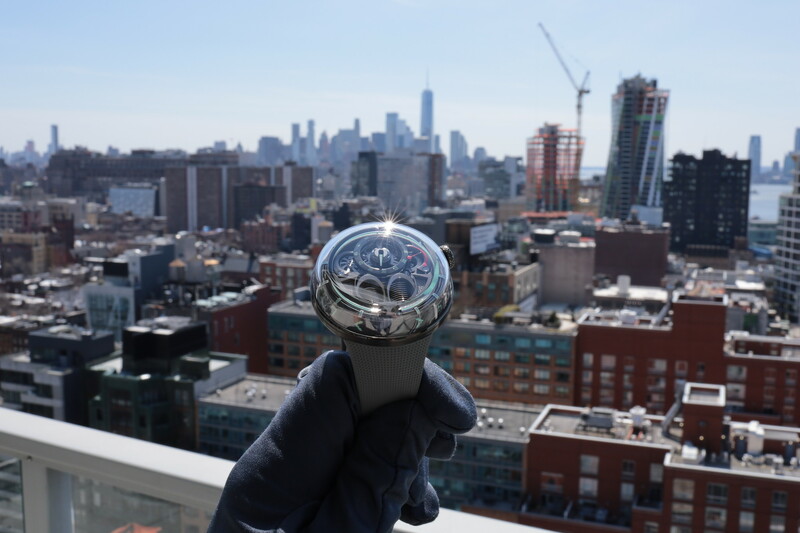 The dial comes in two variations: black (as shown) and silver-plated. On the black dial, green luminous paint is applied to the hour markers, bezel, and hour, minute and second hands. On the silver dial, the paint is white. Both dials look great, and in my opinion, it would be hard to pick one over the other. Our Aquatimer Automatic test model comes in a stainless steel case, with a notched steel bezel. 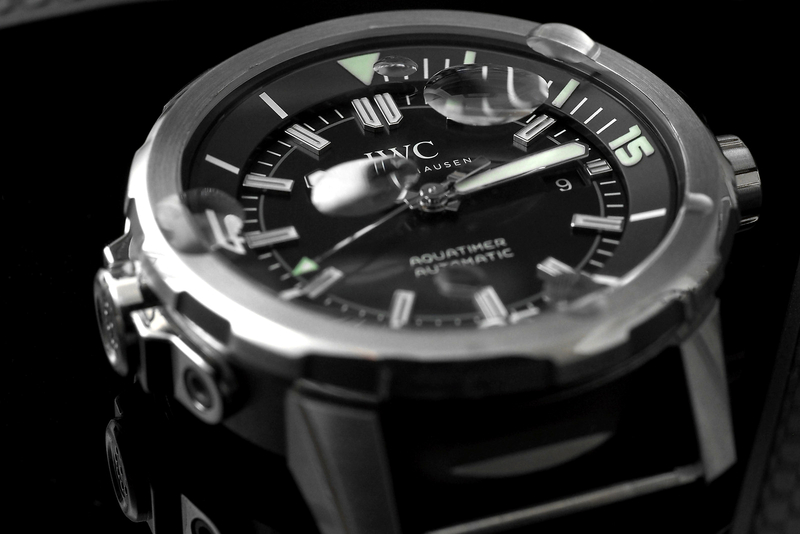 It measures 42 mm in diameter by 14 mm tall, and is the smallest of the IWC diver’s watches. On the right side of the case, is the crown, and on the left side, is the housing for a mechanical sliding clutch which allows the SafeDive bezel system to rotate perfectly. Most of the exterior of the watch has brushed surfaces, with subtle polished accents are visible on the edges of the lugs, on the face of the crown, on the top edge and underside of the bezel and on the clutch housing. This is a dive watch, so naturally, the crown, crystal, and caseback are tightly secured and sealed with gaskets. The crown is locking and the caseback is screwed-in. Water-resistance is 300 meters (or approximately 1,000 feet). 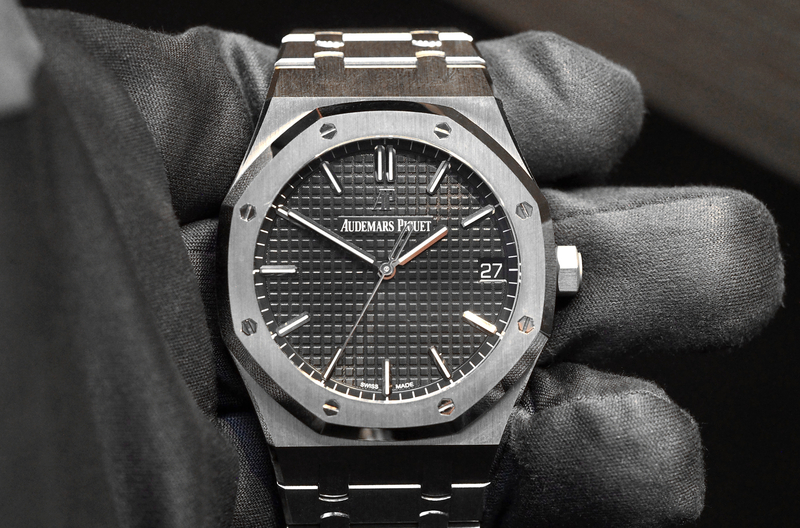 A crystal protects the dial of every modern watch, keeping dirt, grime, and even salt water, out of the case. Similarly, the sapphire crystal of the Aquatimer, which is convex and has an anti-reflective coating on both sides, protects the internal dive scale from the same elements. The Aquatimer Automatic is powered by a caliber 30120, which is self-winding movement with 21-jewels, a 42-hour power reserve, a date display and a central hacking feature. It is based on a ETA 2892, which is a robust and reliable movement, and has some of IWC’s own customizations, but not a lot to talk about other than that. Again, this is the most affordable diver in the collection, and while other references do come with an in-house movement, they do so at a much higher cost. IWC’s 2014 Aquatimer Automatic recalls it roots, while perfectly blending the functionality and benefits of a modern watch. The dial looks great in either black or silver, and thanks to large markers and hands, is incredibly easy to read. Moreover, the technical aspects of the bezel, used on all new Aquatimer models, truly differentiates it from every other dive watch on the market.